A 116-bed medical center built on a 34-acre campus, Carolina Pines provides health care including a 24-hour Level III Trauma Center, a 12-bed intensive care unit, the Stork’s Landing Maternity Center with six Labor, Delivery and Recovery suites, a Diagnostic Imaging Department and a pediatric wing. In addition to Darlington County, Carolina Pines serves the surrounding counties of Chesterfield, Lee and Marlboro. 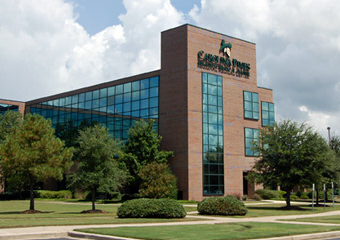 Adjacent to the hospital, Carolina Pines’ Medical Office Building houses the Carolina Pines Sports Medicine and Rehabilitation Center and Cardiac Rehabilitation Department.